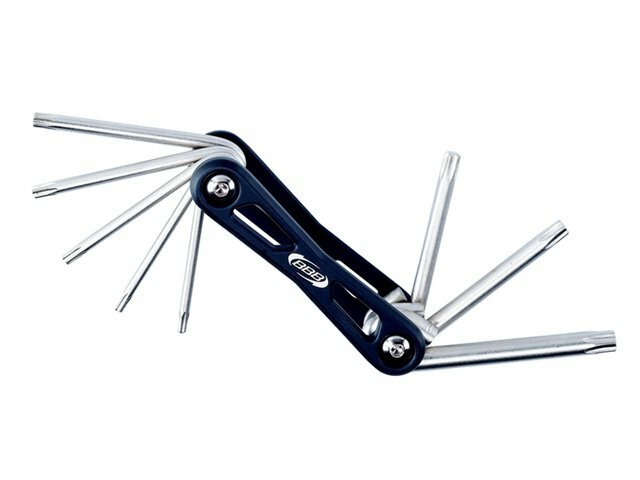 The BBB "TorxFold" Multitool has 8 different torx sizes. Its round aluminium housing makes it very comfortable to use. Because it is foldable and light, the BBB "TorxFold" Multitool is easy to stash .